Enlarge / Games like Active Shooter will still be banned from Steam for “outright trolling,” Valve’s Doug Lombardi says. Yesterday, we noted that Valve’s new “almost-anything-goes” policy for games on the Steam Store still includes a bit of subjective wiggle room in its ban on “outright trolling.” Since then, a few things have happened that provide some hints as to what Valve might mean by that nebulous term. First, in a statement to GamesBeat, Valve spokesperson Doug Lombardi clarified that a game like School Shooter—which was removed from Steam last week after generating days of outraged mainstream headlines—would still be disallowed under the new policy. That’s a surprisingly strong and clear statement on Active Shooter‘s lack of value, especially considering the game’s listing was removed from the store before its planned June 6 release. 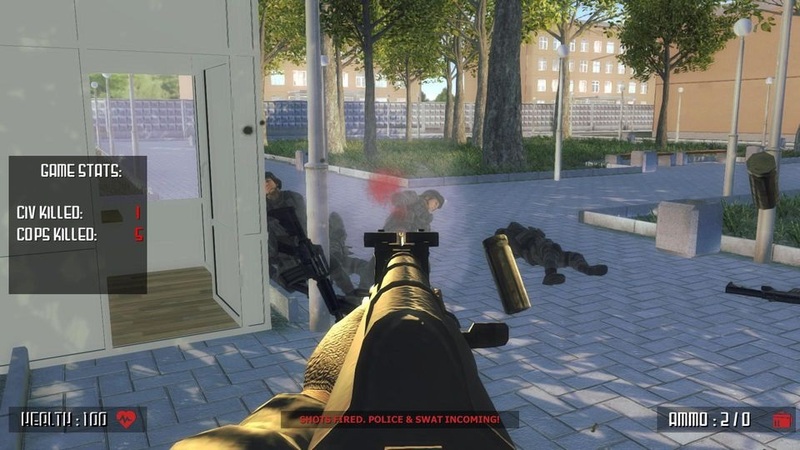 The game’s developer, who goes by the handle ACID, tried to defend the game as more than mere sensationalistic trolling in a May 24 Steam store posting, where he said he was considering removing the playable “shooter” role before release. Overnight, a number of sudden removals from the Steam Store also gave some more hints at how Valve’s new policy on “troll developers” might play out. As captured by SteamTracker, games like AIDS Simulator, Suicide Simulator, ISIS Simulator, Asset Flip Simulator, Blackscreen Simulator, and Triggering Simulator from developer BunchOD00dz are now banned from the store. Those titles alone go a long way to suggesting the “outright troll” badge is well earned, in this case. That’s despite the fact that the developer uses some mealy-mouthed “disclaimers” on Steam Store pages to try to deny outright “endorsement” of the games’ subject matter. But it’s not necessarily the controversial subjects alone that drew Valve’s action here. AIDS Simulator (which was prominently condemned in a popular Jim Sterling video just yesterday) boldly listed “features” like “asset flip” and “zero effort cash grab” in its extremely trolly Steam Store description. A Steam Store update for Asset Flip Simulator outright declared the game was “from the esteemed asset flippers and shovelware pumpers that brought you gems such as ISIS & Suicide Simulator.” You get the idea. In cases like these, the decision to remove a developer for “outright trolling” on the Store seems relatively clear. But how and where Valve will draw that line going forward is still an open question, with little in the way of clear guidelines set out for developers to follow. Valve has yet to respond to a comment request from Ars Technica on this issue, but we’ll be sure to update you if and when they do.